2015 – 028 We are becoming controlled by Cultural Marxists, What is it all about? “The end goal of Cultural Marxists is white genocide.” see 2013 – 043 The EU Coudenhove Kalergi plan and the UN Agenda 21 which is the driving force behind mass migration. 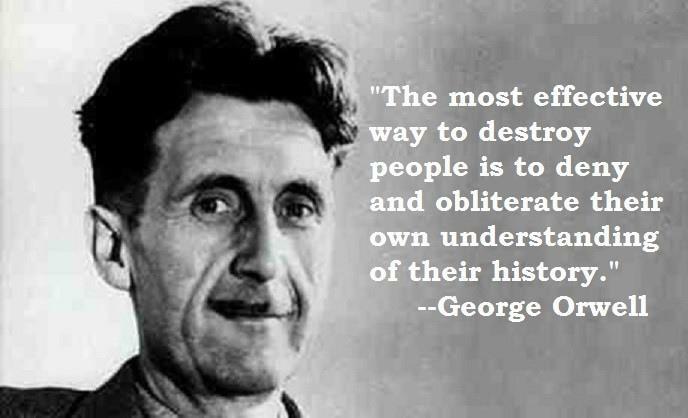 Orwell wrote 1984 as a warning to mankind. Cultural Marxists and New World Order are using it as an instruction manual. . The gradual process of destroying all traditions, languages, religions, individuality, government, family, law and order in order to re-assemble society in the future as a communist utopia. (The New World Order and Agenda 21 go to 2014 – 014 The UN Wildlands Project to control all humans) This new utopia will be controlled by unelected self appointed bureaucrats. This utopia will have no notion of gender, traditions, morality, god or even family or the state. Indeed one of their primary aims is the dismantling of nuclear families and separating children from their parents. The Philosophy was proven not to Work by Vladimir Lenin as he tried in vein to control and subjugate the people. He admitted before he died that capitalism was the only true system in which people understand how to live with each other…. Lenin knew that there were a few western Idiots who kept spreading the communist ideas long after Lenin gave up…. he called these people useful idiots as they had more emotion than brains and could be used to subvert the western states for a military takeover in the future as the citizens would already be perverted and sick and weak from poisonous ideas, decadent lusts and mindless entertainment. see 2013 – 043 The EU Coudenhove Kalergi plan which is the driving force behind mass migration. Not my words but those of the Cultural Marxists.